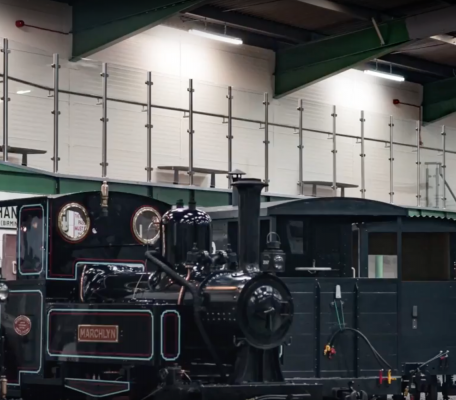 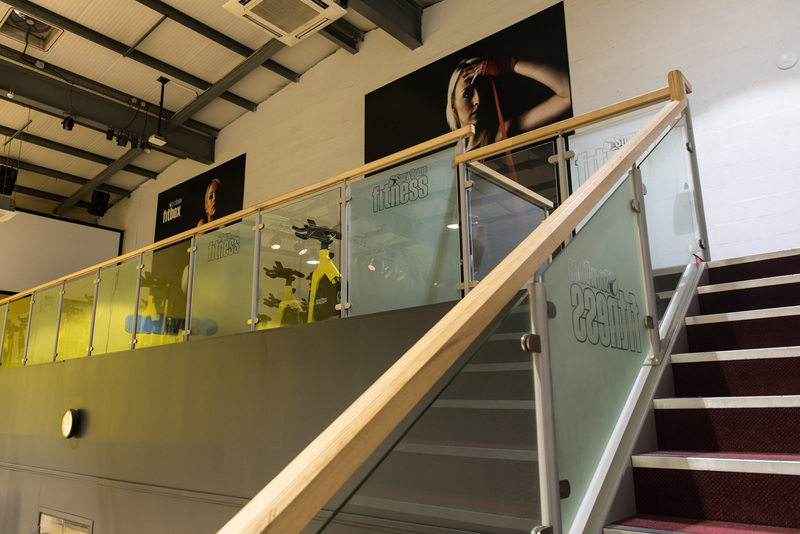 PDC have enjoyed a long relationship with the SnowDome in Tamworth, we are proud to support one the regions most unique and successful businesses. 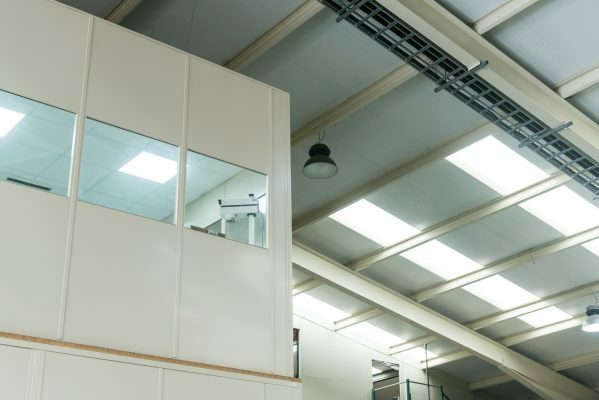 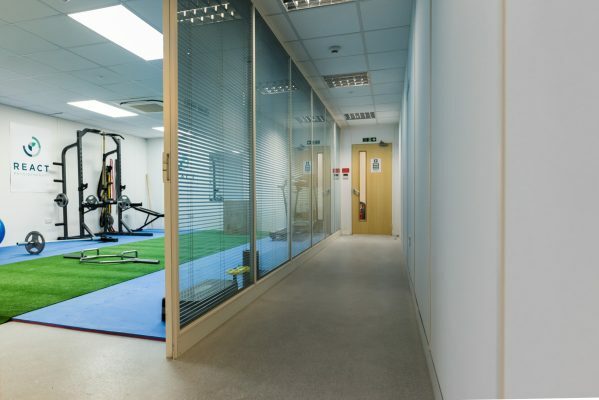 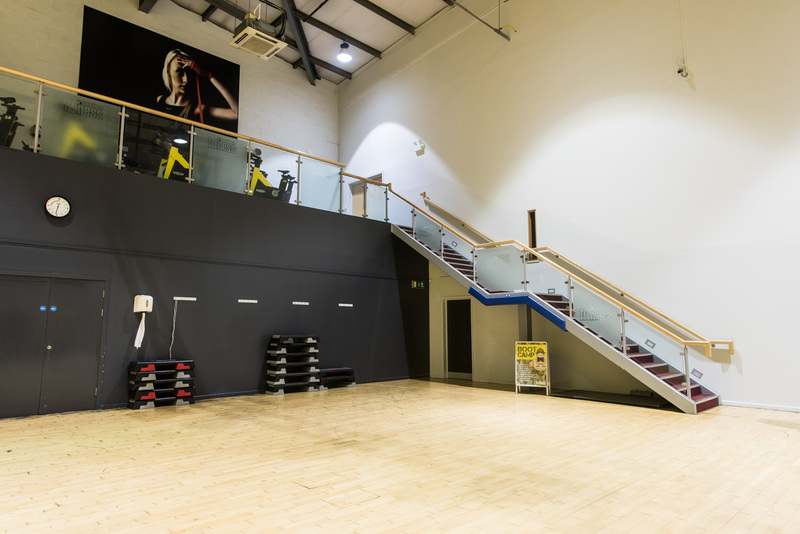 Most recently we were commissioned to fit a mezzanine and staircase in the fitbox area of Snowdome fitness. 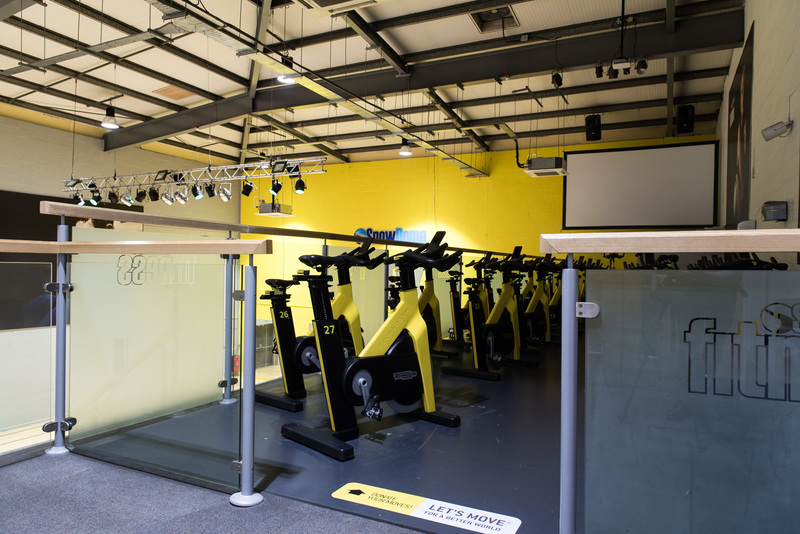 This new installation provided a new platform a spin spin studio, as well as storage underneath. 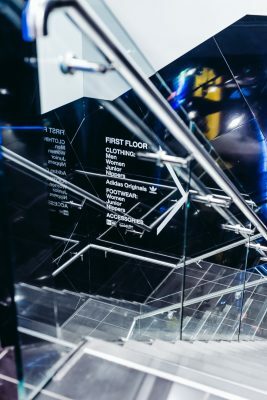 Access to the fit box lower level is via a steel staircase which conforms to Part K of building regulations. 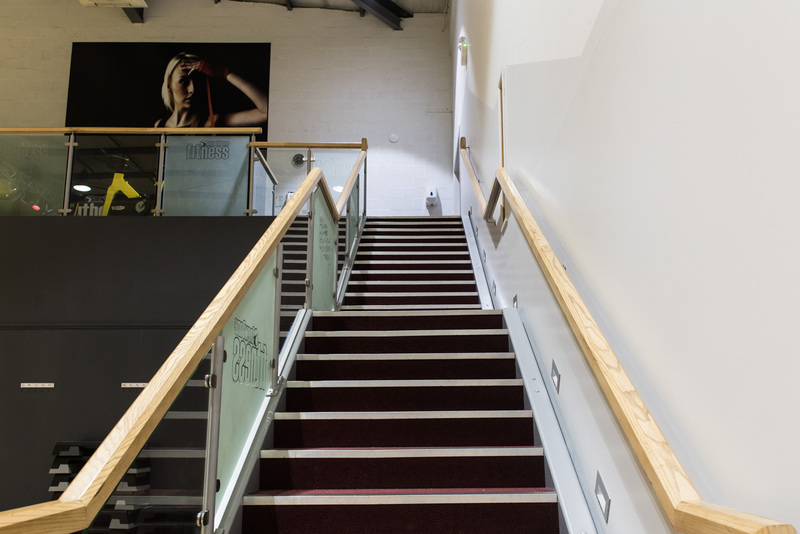 The treads were finished with high traffic carpet and the handrails oak laminate. 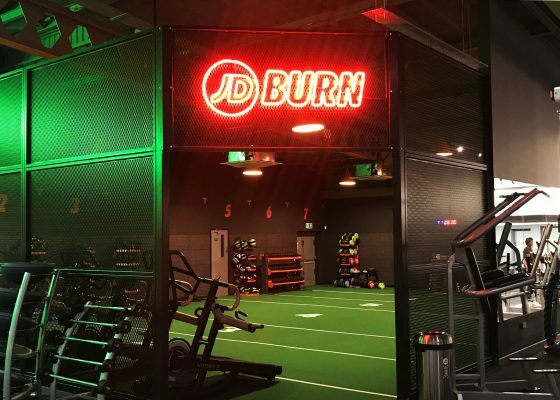 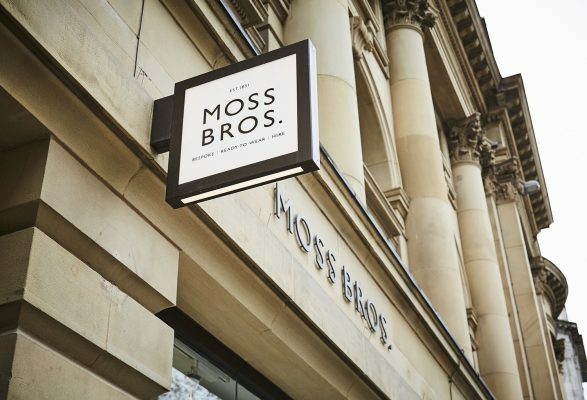 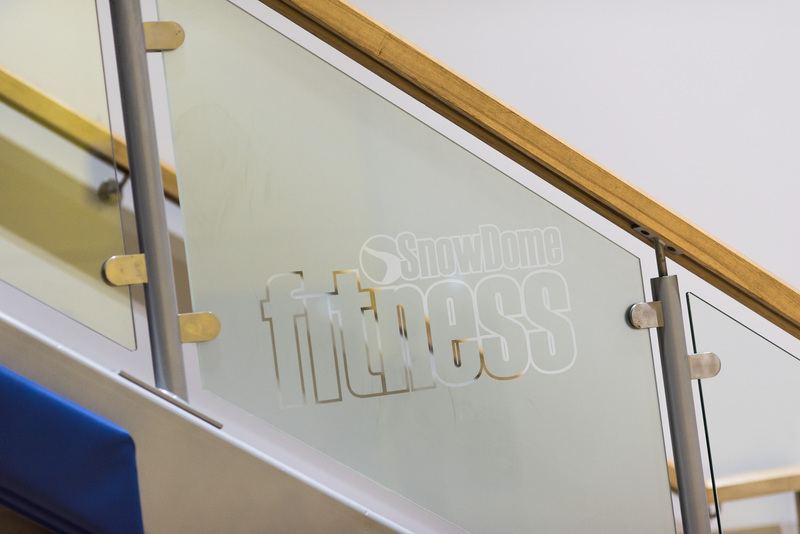 Glass infills were branded with the Snowdome Fitness logo and held in place by grey Powder coated balustrades.